Help young learners understand more about the world and their place in it. How are cultures and civilizations formed? How did we get where we are today? Why do people fight? How do we think? Humans are fascinating, complex animals. There are a million questions you can use to ignite your students’ curiosity, help them become better citizens and share your love of social studies. At the Curry School of Education and Human Development, you have the opportunity to learn from renowned faculty at one of the best graduate schools in the country. We offer several avenues for you to either teach social studies or create the best course materials and curriculum to reach students. Students earning a PGMT degree who intend to become middle or high school social studies teachers can expect to have several job opportunities as Curry School teacher education graduates enjoy an excellent job placement rate. Our Curriculum & Instruction graduates also have several options. They have become instructional coordinators or curriculum specialists, gone into government to improve educational policy, pursued careers in academia and research, and joined museums. A Ph.D. will prepare you for a career as a college or university professor or as a researcher in research organizations. 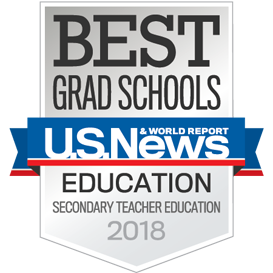 The Curry School of Education and Human Development offers a Master of Teaching (MT) degree with licensure and endorsement in Social Studies Education. NEW PROGRAM CHANGE - The Curry Teacher Education program is pleased to announce the conversion of its secondary education program to a one-year Post-Graduate Master of Teaching (PGMT) starting May 2018. The one-year program will offer an intensive, field-based curriculum centered on high-leverage teaching practices. This program will replace the current B/MT and two-year PGMT models. Check back for detailed information in late September. For the CURRENT PROGRAM MODEL click Learn More below. Curry’s Education Specialist (Ed.S.) degree program is a terminal graduate program designed for the professional educator. Its 30-hour (minimum) requirements can be completed either full- or part-time, and you can select Social Studies Education as your area of emphasis. Earning a three-year Ed.D. in Curriculum & Instruction prepares you for employment as a curriculum specialist, faculty member, or educational consultant to develop policies related to curriculum and the education of professionals. You can select Social Studies Education as your area of emphasis. Part-time students must complete at least one academic semester registered as a full-time graduate student (12 hours). Close student-faculty mentorship and an emphasis on applied research prepare graduates of the Ph.D. in Social Studies Education program for careers in university settings or at research organizations. This is a research-based, full-time program that is offered in Charlottesville only.